Due to the foresight of an extraordinary woman, The Curtis Fund has been providing scholarship aid to Vermont men and women for over 107 years. Over its history, the Fund has grown to over $30 million, annually granting $1.4 to $1.75 million in scholarships to low-income Vermonters. Most of the grantees are also first-generation college students. We aim to level the playing field so that every Vermonter has a chance to obtain the education he or she needs, regardless of family background, income level, or birthplace. In late 2018, the Curtis Fund became a supporting organization at the Vermont Community Foundation, joining a family of funders that includes others dedicated to helping every Vermonter access the education he or she needs and breaking the poverty cycle by building better lives. Visit vermontcf.org to learn more about the Community Foundation and its work. Emma Eliza Curtis, a doctor’s wife who had no children of her own, had the belief that education could change the course of a person’s life. When she died in 1910, she left $120,000 in trust to provide financial assistance to young Vermont men and women to pursue a postsecondary education. Since then, we have grown that seed money to over $30 million. Mrs. Curtis’s legacy lives on in the lives of over 10,000 Vermonters who have realized their dreams of a better future. The mission of The Curtis Fund has not changed since Mrs. Curtis left her bequest. Our ongoing mission is to provide educational scholarships to Vermont students pursuing a postsecondary education. Financial aid is granted to Vermont students no matter their career goals. With an extensive background working with non-profits in California and Vermont and with expertise in donor relations, marketing and communications, and community engagement, Ms. Cellars is working to substantially grow the Fund. This effort represents the Board’s goal of providing more assistance for more Vermont students. Joyce lives in Burlington, Vermont with her husband and daughter. Mr. Boutin has served on the board of The Curtis Fund since 1995 and became chair in 2009. He retired as President and CEO of Merchants Bancshares, Inc. in 2008, having served in that position for 14 years. Active in community banking for 39 years, Mr. Boutin has served on 19 non-profit boards, including Vermont Student Assistance Corporation (VSAC), Vermont Public Radio, St. Michael’s College, and the United Way of Chittenden County. Ms. Mellencamp served as the Principal of Burlington High School and C.P. Smith Elementary School between 1999-2017. Formerly the Director of Curriculum for the Burlington and Addison Northeast School Districts, she taught as a Peace Corps Volunteer in the Congo, coordinated Cambodian refugee educational programs in Thailand and California, served as a Lecturer and Research Associate in the College of Education and Social Services at UVM, and has been involved in a variety of non-profit programs over the last 25 years, including the Howard Center, ECHO, the United Way, the YMCA, and the Ibutwa Project. "Emma’s extraordinary vision and generosity have positively and permanently impacted the lives of countless Vermont students, many of whom are the first in their family to go on to postsecondary education." With over 35 years with Merchants Bank, Mr. Breen is currently a Vice President and Corporate Banking Officer of Community Bank, N.A. 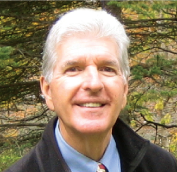 In addition to The Curtis Fund, he has served on the board of the Visiting Nurse Association of Chittenden & Grand Isle Counties, currently serving on its Honorary Board, and is on the Board of Christian Counseling & Mediation. Michael Metz is President of Michael Metz and Associates and has worked internationally for the past over 40 years as a materials scientist and business development expert in precious metals technology, electronic materials, and succession planning in closely held family technology firms. Prior to this, Michael worked for his family business, Metz Metallurgical Corp., holding numerous positons including President and COO. Michael has a longstanding interest in art, education, creativity and technology. He has been a photographer for the past five decades and exhibits locally. In addition to serving on the Curtis Fund’s board, Michael is also a board member of BCA Foundation, ECHO, Generator, and Vermont Community Foundation. Michael lives with his wife Denise Shekerjian (an attorney, author, and business owner) in South Burlington. They have two grown sons. Mr. Knapp is an attorney who spent much of his professional career with Dinse, Knapp & McAndrew, a Burlington law firm, serving for 17 years as its Managing Partner and President. Since 2002, he has served as Senior Vice President and General Counsel of University of Vermont Health Network and its predecessor organizations. Active in community affairs, Mr. Knapp currently serves on the Board of the Vermont Community Foundation and Local Motion and has served in the past on the Boards of the Greater Burlington YMCA, Fletcher Allen Health Care, the United Way of Chittenden County, Vermont Public Radio, Champlain Valley Union High School, Vermont Program for Quality in Health Care, Vermont Business Roundtable, the Lund Family Center, and other organizations. Dan Smith, an eighth-generation Vermonter, has been the president and CEO of the Vermont Community Foundation since August 2016. He began his career as a law clerk in the Vermont Supreme Court and then practiced law at Downs Rachlin Martin before taking a position with the Greater Burlington Industrial Corporation, where he led economic development efforts while crafting state and regional strategies to make key industry sectors more successful. Dan also worked as director of community relations and public policy at Vermont State Colleges, where he developed and executed the institution’s state and federal public policy agenda. Prior to joining the Community Foundation, Smith served as president of Vermont Technical College. Under his leadership, the Community Foundation began focusing its efforts on closing Vermont’s opportunity gap—the divide in access to education, jobs, health, and community vitality that keeps many Vermonters from getting ahead in life. Dan and his wife Lindsay, an ob-gyn physician, live in Burlington with their twin boys. Peggy Ryan Williams served the higher education community for 36 years, retiring from the presidency of Ithaca College in 2009. Prior to that Peggy served higher education in VT for 25 years--as president of Lyndon State College, as well as in positions at CCV, the VSC Office of the Chancellor, and Trinity College. She has served on numerous boards, including Vermont Public Radio, St. Michael’s College, Vermont Community Foundation, the Vermont Women’s Fund, Blue Cross/Blue Shield of VT and more. 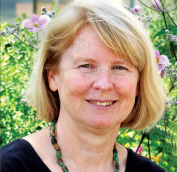 Peggy resides in Johnson, Vermont and is a Professor Emerita of Ithaca College and Northern Vermont University-Lyndon. Since 1995, VSAC and The Curtis Fund have been partners. VSAC has provided the administrative outreach to identify potential students who would qualify for scholarships under the criteria set by Mrs. Curtis’s will. In addition, VSAC provides valuable support and much-needed guidance to these students through the process of pursuing a postsecondary education.